My daughter has a stuffed Beanie Baby pup named Sweetie Pie. Although she has a menagerie of stuffed friends, since receiving Sweetie Pie the two are inseparable. Lillian mothers Sweetie Pie by pretending to feed and bath her and always makes sure her beloved pup has plenty of toys to play with. Lillian sleeps with Sweetie Pie and she never leaves home without her. 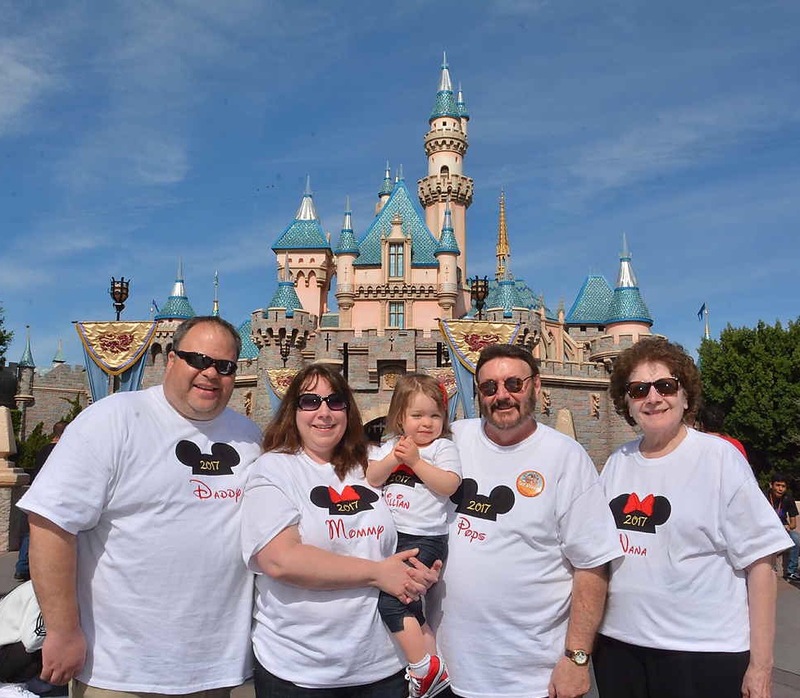 Sweetie Pie traveled to California and Kentucky with us and even rode on a few rides at Disneyland! A few weeks ago, during a normal shopping trip to Sam’s Club, my daughter decided to bring Sweetie Pie into the store instead of leaving her in the car like usual. While walking past the bakery, my daughter asked, “Where is Sweetie Pie?” I looked in the cart but she wasn’t there. We retraced our steps but were unable to find the missing dog! My daughter’s face turned from optimism to sheer worry. Knowing how my daughter adores her stuffed toy I said an extra prayer as we made our way to the customer service counter to see if someone had found Sweetie Pie and turned her in. Unfortunately no one had and the look of disappointment on my daughter’s face will forever be etched in my mind. She tried to carry on with her day but like anyone who has lost something they cherish and love; it was clear Sweetie Pie was on her mind. Every so often she would say, “Where is Sweetie Pie’s house?” or accidentally call out “Sweetie Pie” when she meant to say “Jingle Pup.” I was proud of my little girl for making the best out of a disappointing situation. Another call to Sam’s Club ended with the reality that Sweetie Pie was lost, lost forever. Lillian appeared to be moving on but for some reason I felt unsettled. Was I missing Sweetie Pie more than she was? Maybe my motherly instinct had kicked in and I simply wanted to “fix” the lost dog scenario for my baby girl.? Since there are more than 2,000 different kinds of Ty Beanie Babies in the world finding another Sweetie Pie would be a challenge. Then I remembered my friend Shirley Hogan. Shirley is a retired general music teacher who used to play clarinet with me in the Northwinds Concert Band. 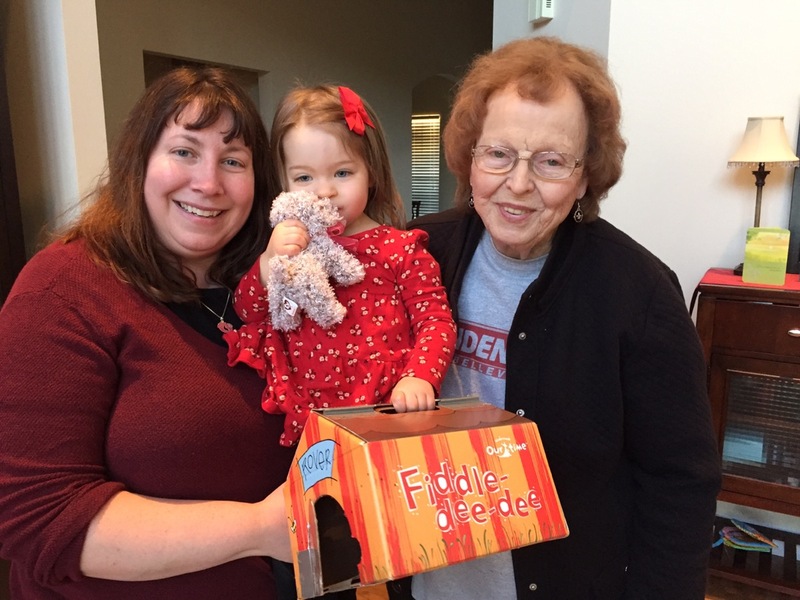 During a recent visit to Ms. Shirley’s house, we discovered she had a collection of Beanie Babies that she used in her music classroom. The students loved discovering the Beanie Babies’ birth dates, often finding one that matched their special day. Each stuffed animal comes with a poem that Ms. Shirley creatively turned into a song that her students enjoyed singing. I debated about making the call to Ms. Shirley because I don’t want Lillian to grow up thinking that mommy and daddy can fix every lemon that life throws her way. We won’t be able to make everything right no matter how hard we try. My determination and problem solving won out and I made the call. A few hours later the doorbell rang. We were surprised to find Ms. Shirley at our door! 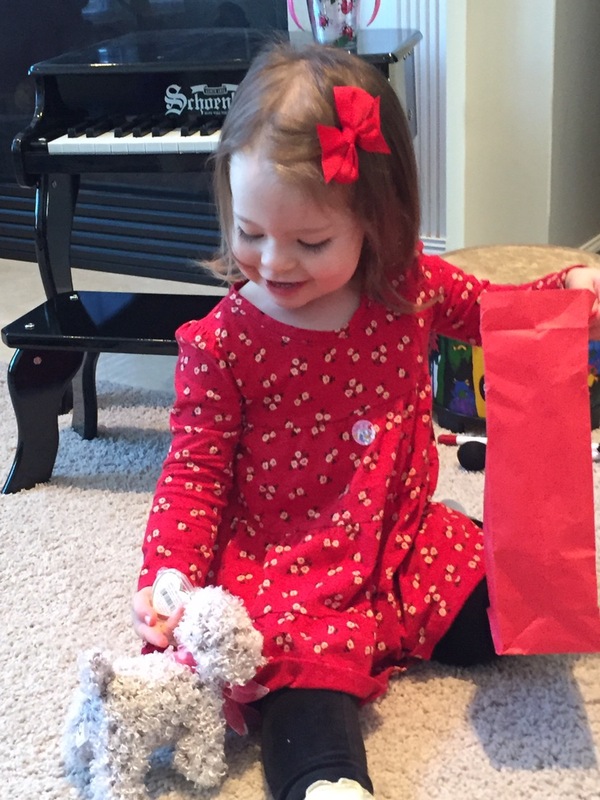 She was carefully carrying a red paper bag and after inviting her inside she gave Miss Lillian the mystery package to open. Lillian’s face lit up and a huge smile emerged on her little round face when she discovered her beloved Sweetie Pie inside. She took the stuffed dog in her arms and gently pressed it to her face in a loving embrace! Thanks to Ms. Shirley and her remarkable act of kindness, girl and pup have been happily reunited. 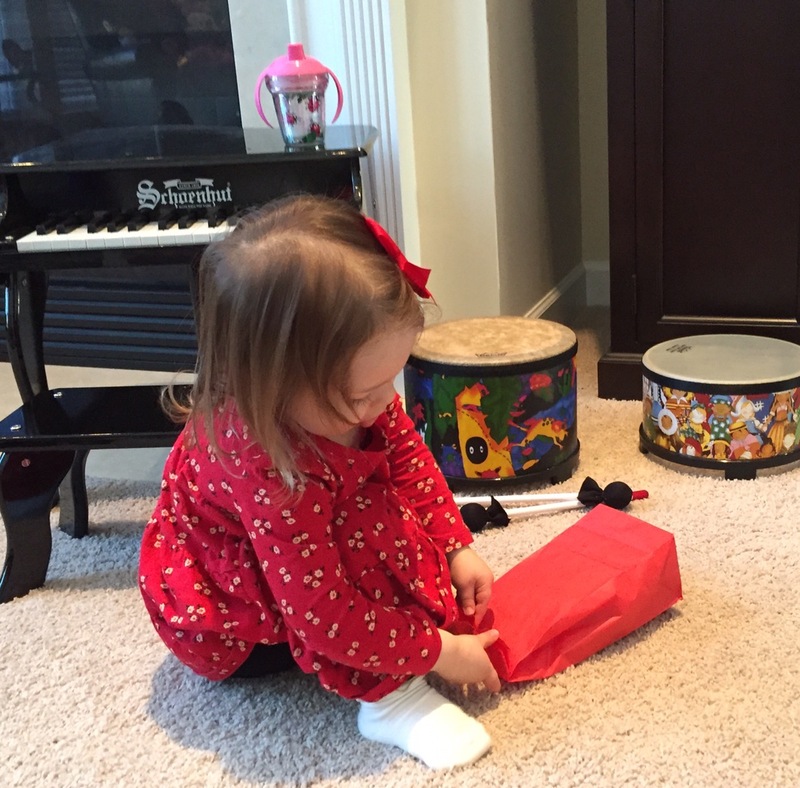 It was the sweetest gift our Miss Lillian has ever received. Life has returned to normal in the Talley household. Being careful not to cause any hard feelings, Lillian gave Jingle Pup to her daddy and Sweetie Pie has gone back to being her favorite lovie. Sweetie Pie still goes everywhere with us but Lillian always makes sure Sweetie Pie stays in the car. It looks like my little toddler learned a few lessons after all. When I accepted an assignment to train teachers in California I got the brilliant idea of taking little Lillian with me. So I invitied my parents to tag along. My husband even flew in for a few days. S﻿ince our little Lillian is obsessed with all things Minnie Mouse we decided to extend our California trip with a two day visit to Disneyland. During our California adventure we were in constant communication with Ken’s parents regarding the condition of Grandma Talley. Her health was deteriating after a debilitating bout of pneumonia. 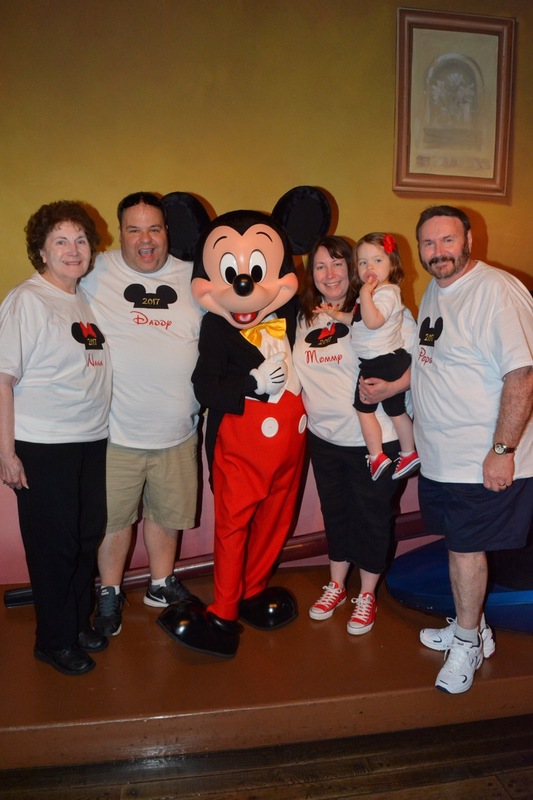 Early in the morning, hours before our first day at Disneyland, we got a call that Grandma Talley had passed on. Although we were filled with sadness, we also gave thanks for her 97 years of life. She experienced a lot in her 97 years, including multiple visits to various theme parks. One of my favorite photos of her was taken at Six-Flags Over Mid America when she was in St. Louis visiting my husband and his family. The fun filled memories of a day of pure joy were clearly captured in the photos shared with me years later. 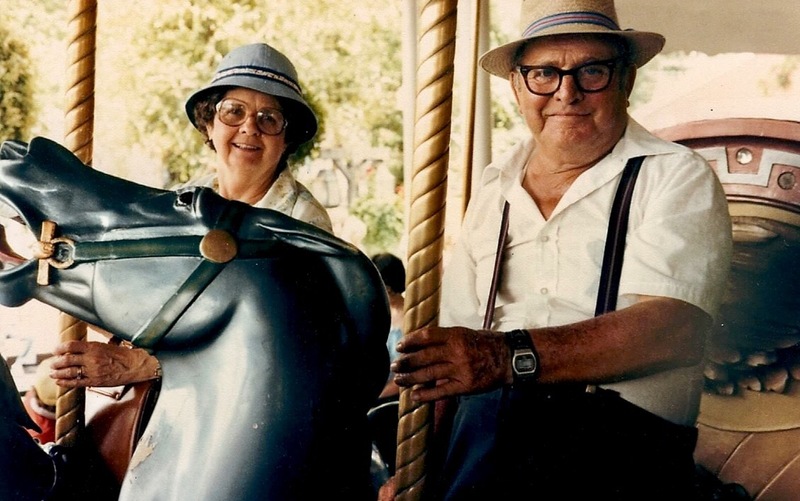 Grandma Talley with her husband Fraudie riding the carousel at Six Flags. 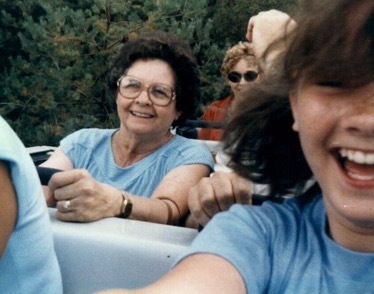 Grandma Talley riding a roller coaster at Six Flags with her grandchildren. 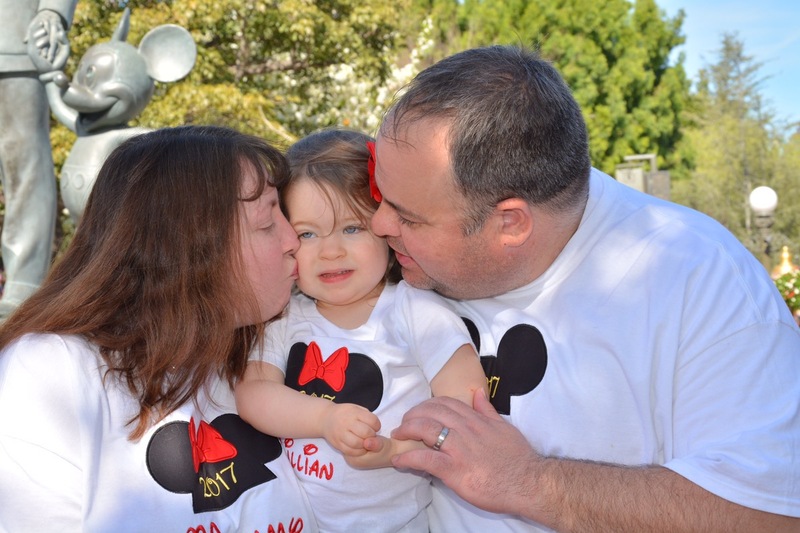 Lillian meets Mickey Mouse at Disneyland. A day after we came home from Disneyland we packed the mini van and traveled to Magnolia, Kentucky for Grandma Talley’s funeral. As we drove, my husband and I reflected on all of the wonderful memories we had with grandma. We reminisced the entire drive and my husband shared wonderful stories of summers spent on the farm. I had more recent memories of Grandma Talley smiling at our little Lillian, her namesake, for the first time. We both commented on how weird it felt being in Disneyland and then just days later traveling to Kentucky to say goodbye to Grandma Talley. Although we all secretly wished we could be with Grandma Talley “One more time,”we gave thanks for her blessed life and the time we had together. My family and I may have spent two days at the happiest place on Earth but Grandma Talley is now in an even happier place. A place that is better than a million Disneylands put together! A place where there is no pain, no suffering and no hurt. She is in heaven where she was reunited with family and friends. While we spent two days at Disneyland, the happiest place on Earth, I feel comforted to know that grandma will have eternal happiness with her Lord and Savior in heaven.